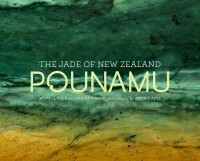 This most stunning title is THE book on pounamu by jade expert Russell Beck, with photographs by Andris Apse. 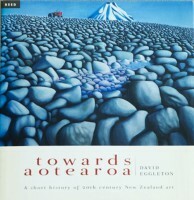 It is full of fascinating detail about where jade is found in NZ and the world, the different kinds of jade, how it’s worked and what it was (and is) used for, as well as stories of jade from history and Maori mythology. The challenge in editing this book was to make the sometimes quite technical detail accessible to the general reader. Russell Beck is himself a renowned carver of jade, and good at explaining the details and the techniques. 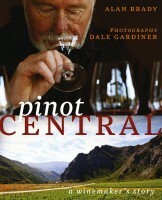 And of course Andris Apse’s stunning photos helped to make this book a serious pleasure to read. Four authors – four very different autobiographies. 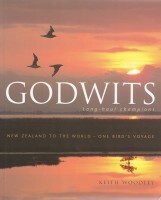 Yet in each one, the author tells a very moving story of life’s ups and downs, great joys – and moments of despair. Working with authors such as Joy Cowley, John Kirwan, Marianne Elliott or Alan Brady on their autobiography is one of the most enjoyable and rewarding aspects of being an editor. My favourite cookbook of 2012 has to be Jeremy Schmid’s BANGERS TO BACON. Jeremy is the owner of the trendy two fifteen bistro at, you guessed it, 215 Dominion Road. His book gives mouth-watering recipes using his homemade sausages, prosciutto, bacon and ham. More importantly, Jeremy gives clear instructions on how to make your own sossies and bacon! Vanda Symon is another crime fiction writer whose novels starring detective Sam Shephard are firmly located in the South Island. However, her most recent novel, The Faceless, is set in the seedier parts of Auckland, including K Road, the suburbs, and an abandoned warehouse in an industrial estate. It was fun editing The Faceless, and great to meet the effervescent Vanda (and her two sons) over a coffee at Alto in Mornington, Dunedin – which happens to be my home town too. Editing the translations of these two novels was absorbing and challenging. The novels were translated from the French by Jean Anderson, founding director of the NZ Centre for Literary Translation. Jean and I discussed the relationship between translator and editor recently at a conference in Wellington. 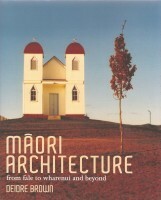 B eautiful big books on art and architecture are a delight – and a real challenge – to edit and produce. A lot of work goes on behind the scenes to select the artworks and have them photographed, source historic images, find the artists and owners and get their permission to reproduce the works, check colour proofs and much more. 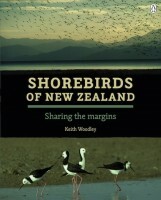 The editor works closely with the author and the designer to produce a book that works well and is stunning to look at.